~*Tree's Kitchen*~: Fill the Cookie Jar!! These look delicious. Love the maple pumpkin combination! YUM! They look great! This is a keeper recipe that you can use year after year! Definitely on my list of things to bake! Pumpkin and maple combine oh my!. Time to go get some pumpkin puree. Yum! 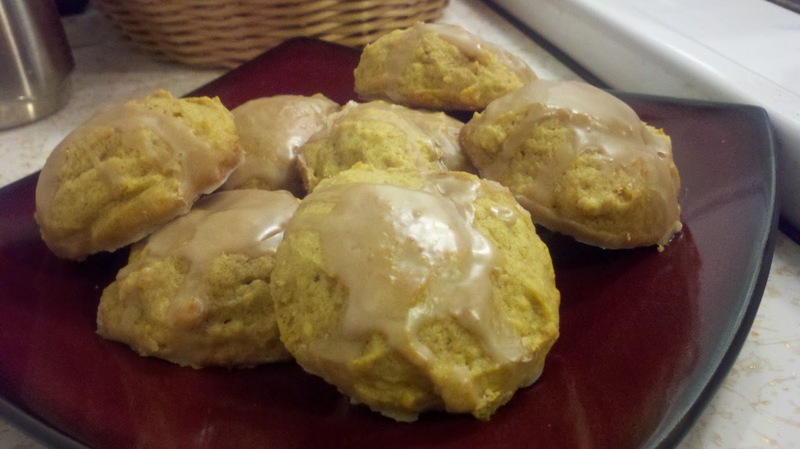 I might need to make these since I have pumpkin leftover from the cookies I made this month! The glaze on these looks really appetizing! YUM! I love pumpkin cookies and it was what I thought I would make for this month' fill the cookie jar. The maple glaze on these look so good..